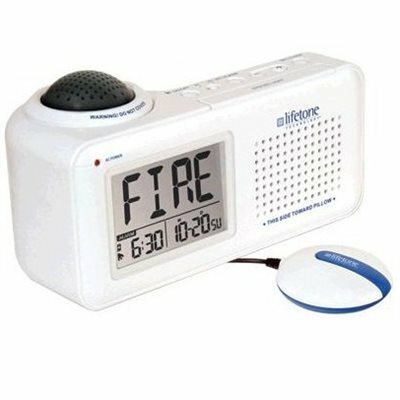 The Lifetone HL Bedside Fire Alarm and Clock is proven to be more effective at alerting and awakening at-risk individuals than standard fire alarms. Hears your existing T3 smoke alarms. No new alarms are required.